During his distinguished career Booth was regarded by many as the best scrum half of his era and a favourite with the press who often referred to him as “The General”. 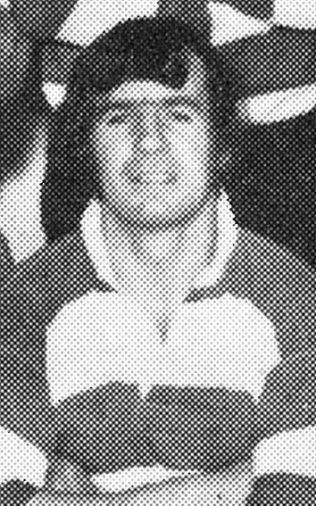 He made 475 appearances for Gloucester and 42 for Gloucestershire. He was club captain 1962-63 and 1964-66, before going on to be a club committee member, club 1st XV coach, South West regional selector and member of the England management team for a period. Educated a Sir Thomas Rich’s school and founder member of Longlevens RFC he made his first team debut for Gloucester against Oxford University. Not just a great rugby player, Booth was a fair cricketer and also a bowls player, being awarded a county badge and former captain of the Barnwood bowls club. Best scrum half of his era. Great partnership with Terry Hopson. I worked with Micky; never a dull moment and same on the pitch. Should have been a “first pick” for England shirt but didn’t know the right people. Good that rugby has moved on. I’ve only ever heard great things about Mickey. What a legend. He’s my second cousin through my mum’s side of the family. Related to my nan Phyllis Booker. Makes you proud to be from Gloucester when you know you’re related to a Gloucester Rugby hero! 🙂 Maybe that’s where I get my cricketing from? Mickey Booth was an absolute legend – he was the best and the best Grandad ever and he is always loved by our family, especially Me. My Grandad tried his hardest to do the best he could for the team and still today he wishes he could play even tho he had a heart bypass and he has a lot of back pains but he surely wishes he could still play to make them win today. Booth was totally indomitable, he regarded any score against the Elver Eaters as a personnel insult. If we were 20 points down he would give blood to stop it becoming 23. He had a habit of rubbing his hands on the Kingsholm turf and then appearing to lick his fingers. When this happened we knew he was on the warpath! Being dismissed by him in local cricket was almost a pleasure. Does anyone remember the “running away without the ball”? At a scrum near the opposition line he would scurry away from the back of it but without the ball. Most of the defence would charge forward and the ref had little option but to blow for a penalty as the ball was still in the scrum. I think after this the powers changed the law so that dummying like this was illegal. Like most people I think he was undoubtedly the best scrum-half of his time, and if his name had been Michael Booth-Smith he would have had many caps for England. Mickey was a great scrum half who should have been capped. I can remember watching him play behind the renowned Glaws pack on wet Wednesday nights at Kingsholm against Welsh teams in particular and he was usually immaculate, great pass, always sniping around the fringes and excellent box kicker. Happy days.